With the holiday season soon upon us, friends are likely to drop by, and some may even want to stay over. If you prepare for your guests' arrival, a knock at the door won't fill you with dread. Try some easy-to-do ideas to warmly welcome friends and family into your home. They might just win you accolades for being the perfect host. Read more about getting your home ready for summer via Sydney Morning Herald, The Age, Brisbane Times and more via Fairfax Media online. Just click here. 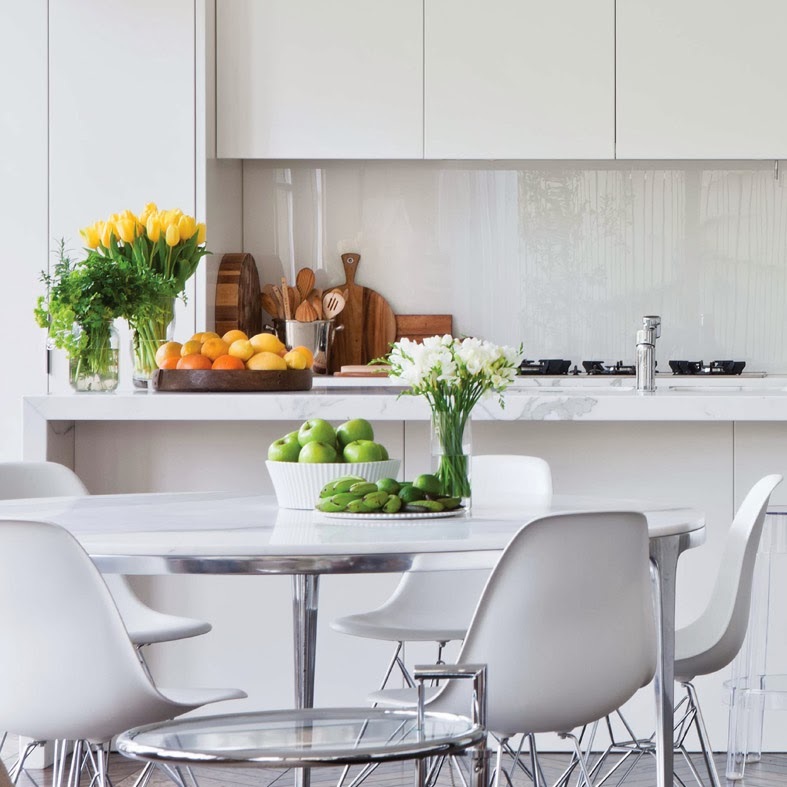 The Big Clean Up: When guests are due, clean kitchens and eating areas are a top priority. This immaculate dining area is in Grong Grong house. It's by the award-winning Melbourne interior design firm Molecule Architects www.moleculeweb.com.